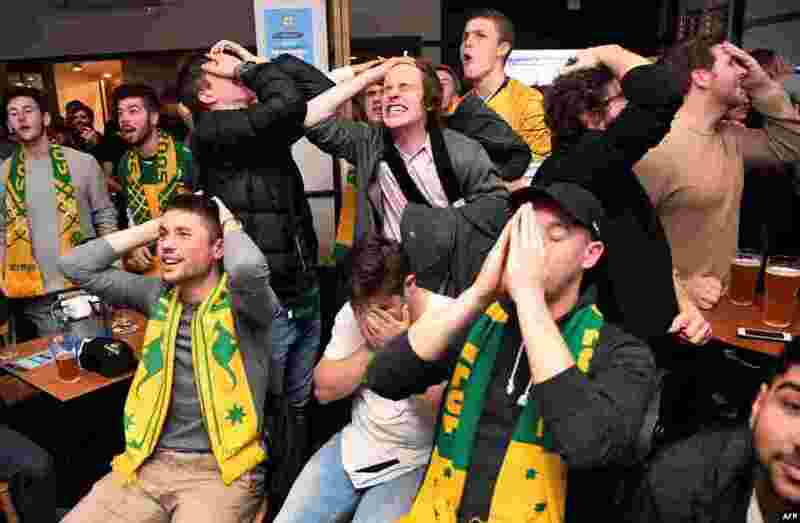 5 Australian fans in a pub in Melbourne react as they watch on a giant screen as Australia plays Peru during a 2018 World Cup Group C football match in St. Petersburg. 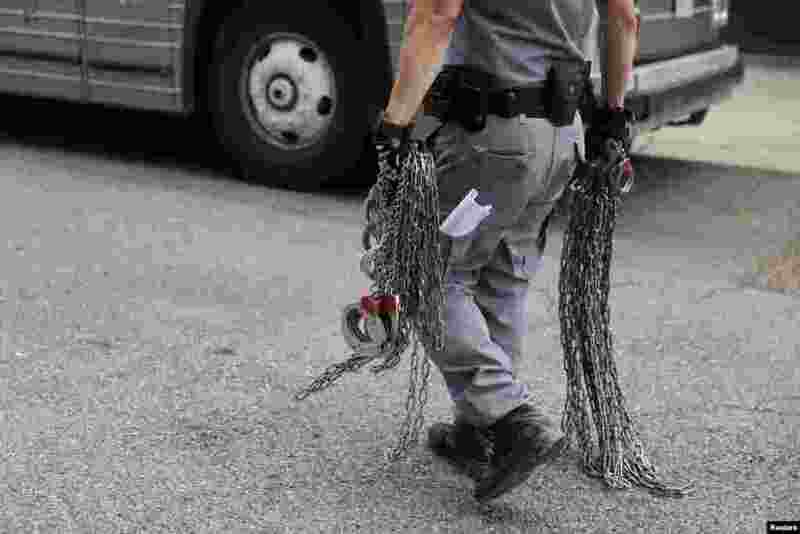 6 A man carries shackles that are to be put on undocumented immigrants, outside a U.S. federal court in McAllen, Texas, June 25, 2018. 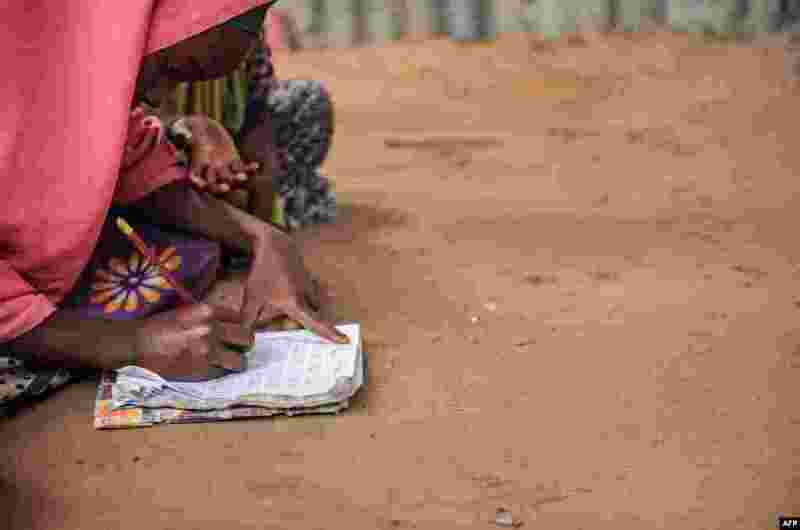 7 A displaced girl studies the alphabet and numbers at a makeshift school at the Badbado IDP camp in Mogadishu, Somalia, June 25, 2018. 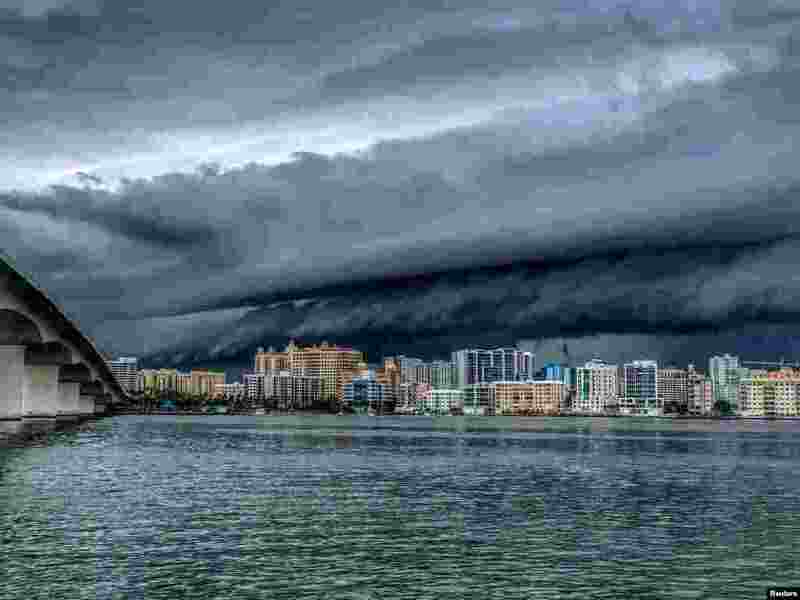 8 A storm is seen in Sarasota, Florida, on June 24, 2018, in this picture posted on social media.